Cafe S.W.O.T is not your regular co-working place, it is a community-driven space for remote workers that offers a cozy ambience, healthy and delicious food, a variety of distinct merchandise from Stoups & Twigs and lip-smacking packed food from Brown Sugared. Members of the cafe can also engage in games, movie nights, design workshops and more. The owners of the place are warm and very interactive, which makes it even better! Loaded with mushrooms, zucchini, broccoli, bell peppers, lettuce and baby corn, this roll is both filling and delicious. The distinct shawarma sauce of the cafe makes it extra tasty. 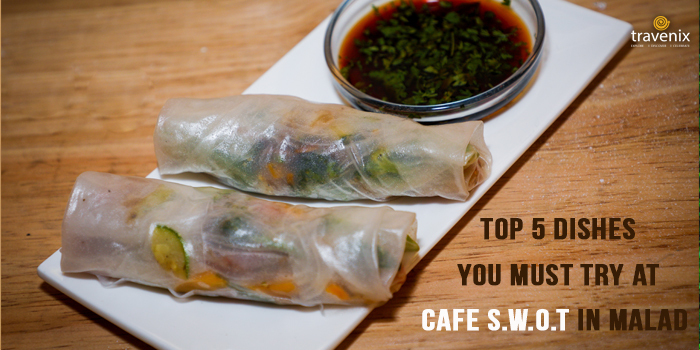 Featuring fresh veggies wrapped in rice paper, these rolls are a way better snacking option than regular fried rolls. 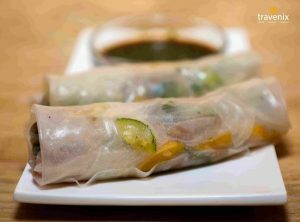 The taste of this Vietnamese delicacy is authentic and it comes with a savory dip. 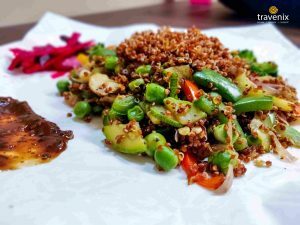 Filling and healthy, this main course meal comes with fresh veggies tossed in salt and pepper with quinoa and peas. The black pepper sauce that comes along with the dish makes it even more irresistible. This high protein meal is perfect for health-conscious individuals. This item tastes like a shawarma and is as filling as a hearty sandwich. 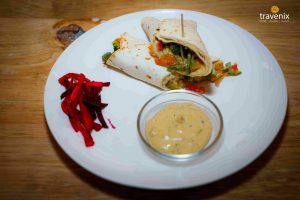 It is loaded with veggies and mouthwatering shawarma sauce (which can also be purchased separately). 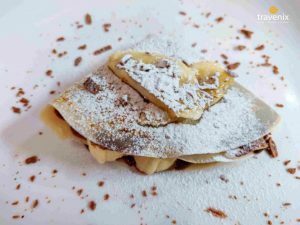 Another must-try item at this snug cafe, is the Banana Nutella Crepe – this dish is heavenly! The crepe is extremely soft and stuffed with bananas and nutella. Chocolate lovers must definitely try it. The flavours are perfectly balanced and it is not too sweet, despite the ingredients. We also tried the granola bars, peanut fox nuts, and jaggery and sesame fox nuts from Brown Sugared and loved their taste and overall packaging. The Flower Blossom and Orange Mojito drinks had a well-balanced taste and seemed like perfect after-meal drinks. You should go to S.W.O.T Cafe if you want to enjoy some great food and ambiance or want to be a part of a warm co-working community. Not to mention the variety of merchandise that is on offer. 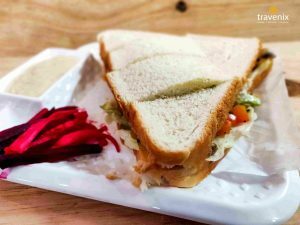 Tag your friends and plan a visit to this compact but fun cafe in Malad!